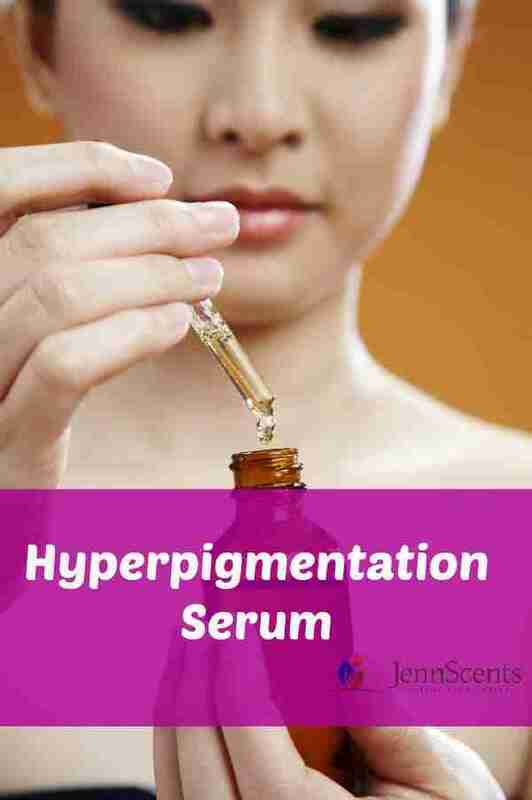 Hyperpigmentation Serum - JennScents, Inc. I love this Hyperpigmentation Serum. I originally formulated it for myself and some of my spa clients to combat the pigmentation, discolorations and scarring left from acne, abrasive skin care products and other skin traumas. It is not a simple recipe, but rather a complex layered synergy of various botanical and essential oils. Some of the main ingredients are helichrysum (Helichrysum italicum), that is a powerhouse when it comes to scars, wounds (physical and emotional), and aids in tissue and cellular repair. It offers anti-inflammatory, cicatrisant and vulnerary properties. As most people know, helichrysum is quite expensive, but delivers an enormous amount of benefits – physically, mentally and emotionally. Lavender (Lavandula angustifolia), of course is included for its balancing, harmonizing, analgesic, anti-inflammatory and nourishing benefits. It can lend a little numbing or anesthetic feeling, like an antiseptic which soothes the dry, semi-healed and bleeding wounds. It can help tissues obtain and maintain hydration levels. A couple of the botanical oils included are evening primrose and rosehip oils. These are some of my favorites when it comes to skin, tissue and pigmentation repair, as well as the added bonus of hydration. By now, you might be seeing a theme of hydration and repair. That is the focus of our special formula.